Preheat oven to 200°C (400°F). Place the chorizo in a small food processor and process until finely chopped. Transfer to a bowl with the tomato, chickpeas, paprika, chilli, sugar, vinegar, oregano, parsley, salt and pepper and mix to combine. Divide the mixture between 4 x 1¼-cup-capacity (310ml) ramekins and brush the edges with egg. Cut 4 rounds of pastry using the ramekin as a guide. Top the ramekins with the pastry and press to seal. 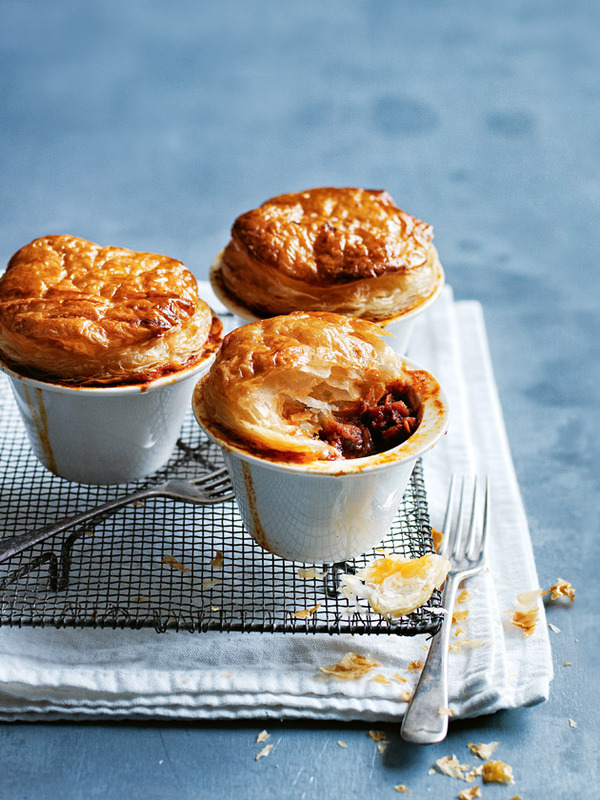 Place the ramekins on a baking tray and bake for 15–20 minutes or until the pastry is puffed and golden. Serves 4.